A successful Preview Gala held last night at Fashion Industry Gallery welcomed artists, socialites, art aficionados and even neon performers as spotted by @MuseumTwrDallas on Instagram. Now, just steps away from Museum Tower, the sixth annual Dallas Art Fair is officially open to the public. If you're unable to get there today to see the incredible works from more than 90 exhibitors, we can satiate your anticipation. Museum Tower has curated a special preview and shares how you can experience Dallas Art Fair right from your smartphone. Presenters hail from far away lands like Tokyo, Helsinki, Paris and Melbourne. Yet modern sculptures, portrait paintings, contemporary photography and more from eight Dallas galleries stand among these international exhibits. Watch the video below to see the curation of works from these local galleries Museum Tower Dallas residents are excited to see at the fair. 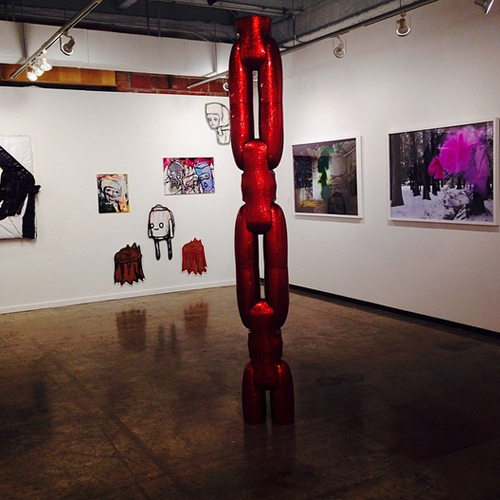 Other art-centric sites have shared their Dallas Art Fair previews as well. Discovered from the official Museum Tower Twitter handle, @MuseumTwrDallas, were Blouin ArtInfo's 60 Works in 60 Seconds and Artsy.net's Dallas Art Fair iPhone app in addition to its comprehensive display of all the Dallas Art Fair works. 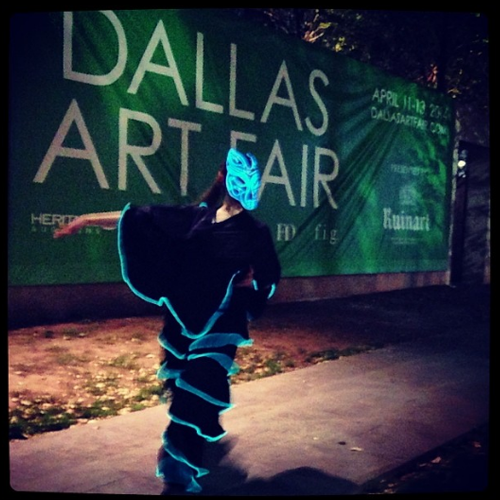 The social photo sharing app, Instagram, allows you to experience Dallas Art Fair right from your smartphone and from the unique vantage point of exhibitors and attendees. Download the free app on your iPhone or Android device from the App Store or Google Playstore. Then search #DallasArtFair on the social platform. Dallas Art Fair, which coincides with the last three days of Dallas Arts Week, is open at Fashion Industry Gallery on Friday, April 11 until 7:00 p.m. Hours on Saturday, April 12 are 11:00 a.m. - 7:00 p.m. and hours of the final day, Sunday, April 13 are 12:00 p.m. - 6:00 p.m.